This is Tessa. She is a beautiful and energetic little girl. She is battling Neuroblastoma, Stage 4. Tessa is seven years old and has been fighting this disease for two years. Tessa loves to dance, sing, act, do gymnastics, and play with friends. She looks to be your everyday healthy girl…. unfortunately she isn’t. She is in the fight for her life. 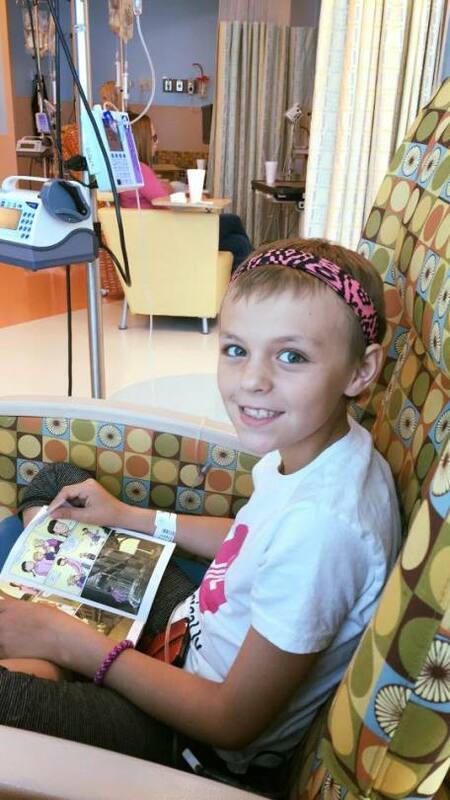 Since being diagnosed, Tessa has undergone 12 rounds of chemotherapy, two tumor resection surgeries, a stem cell harvest and a high dose radiation treatment called MIBG. Her response to front line therapy has been slow going. She is now currently experimenting with different clinical trials to get her cancer free.